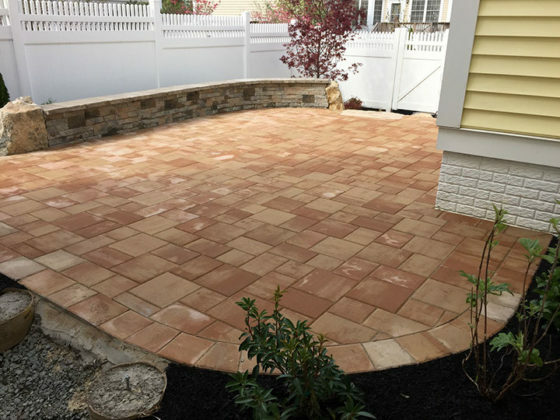 This Robbinsville, NJ patio was designed to maximize functional space and privacy in this small neighborhood yard. 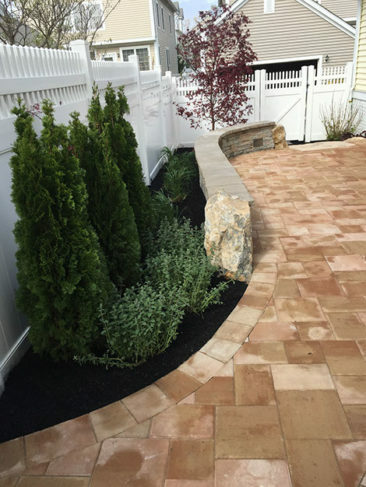 There are lots of curves and boulders built into the design to transform this yard into something really beautiful. 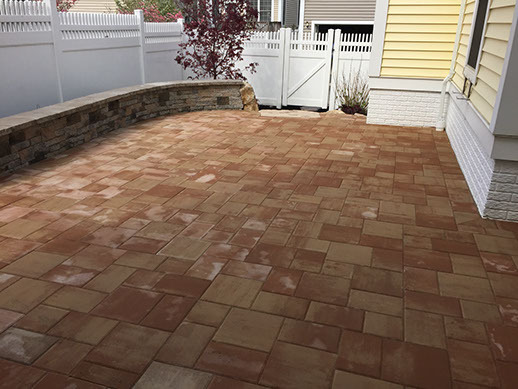 The patio is built from EP Henry Bristol 1 smooth pavers. 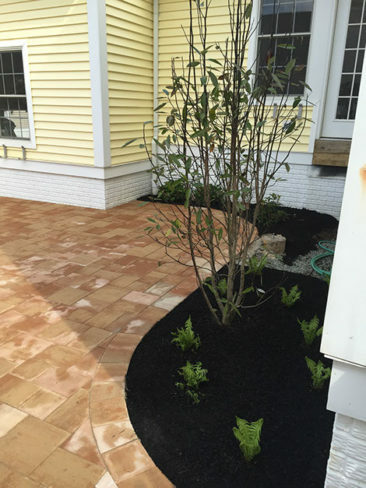 The plantings were carefully selected for adding privacy while looking beautiful. 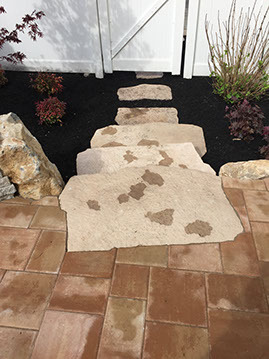 There is a custom stone boulder package that really makes this landscape design look unique. 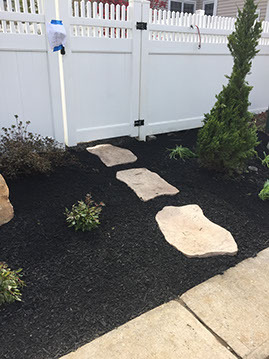 There is a stepping stone path with steps leading one from the patio through a gate and out to the sidewalk. The stepping stones go through the plantings and mulch and add to the natural look of the design. 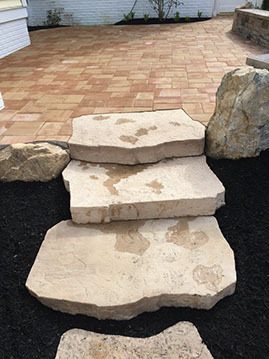 The steps are made of Techo-Bloc Maya Steps. 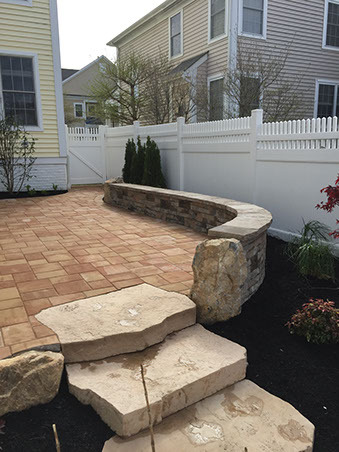 The curved sitting wall is perfectly placed to both hold the patio to a level height and for sitting on. 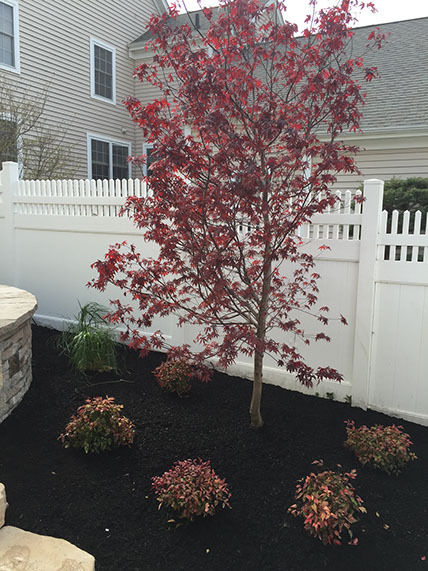 Behind the wall is a small isle where plantings will grow up and look amazing between the sitting wall and the white fence. 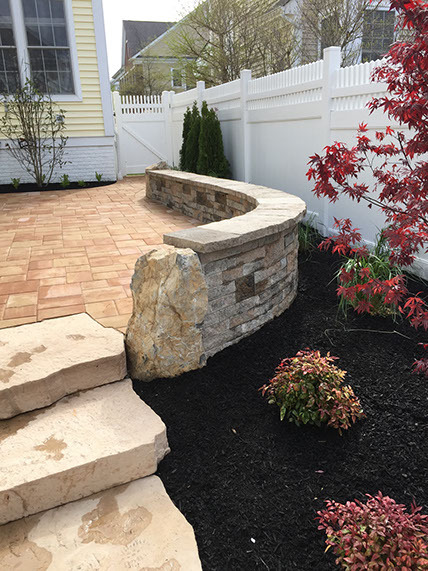 Boulders are placed at the end of the walls for a custom look. The walls are made from Techo-Bloc 3” & 6” mini Creta paver stones.